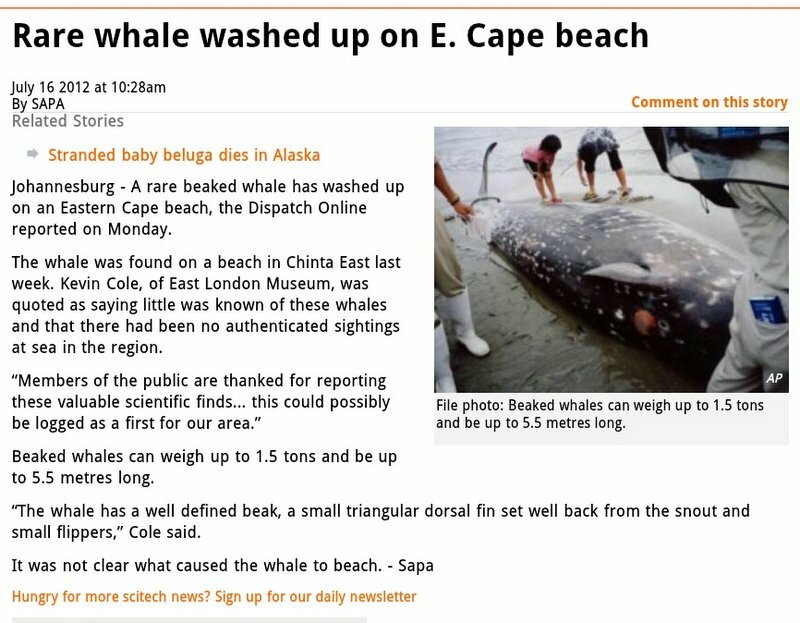 Sadly a rare species of beaked whale washed ashore close to East London recently. Scientists believe it may be a True’s beaked whale (Mesoplodon mirus). If so, this record will be a first for the area. The location of the sea mammal was north of the Chefane River mouth (Chintsa Bay). 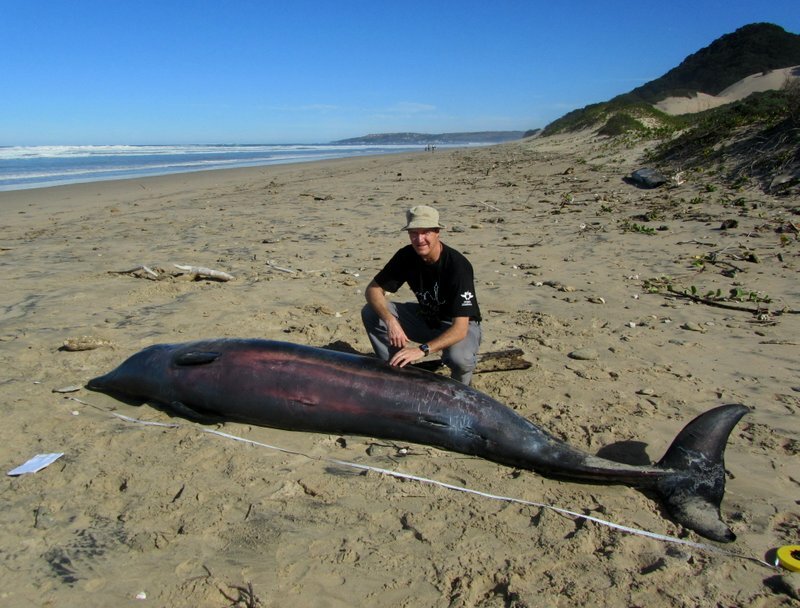 A necropsy was undertaken by Greg Hofmeyer, curator of marine mammals at Bayworld (Port Elizabeth) and Ntuthuzelo Makhasi, along with East London Museum scientist, Kevin Cole (who reported the find after it was discovered by a member of the public). Details of this animal autopsy (necropsy)will be revealed later. The whale measured 3.51 m in length (tip of snout to tail) and was a sub-adult male specimen.